By the time this record was released in 1968, the sweet soul sound heard in these groups was becoming as prominent in soul music as the (James Brown influenced) hard hitting funk. The sweet soul sound (heard most prominently at the time in Chicago soul) took a cue from Doo Wop vocals and matched it to a slow grooving soul beat that is one of those magical combinations of styles that produced a whole lot of great records. 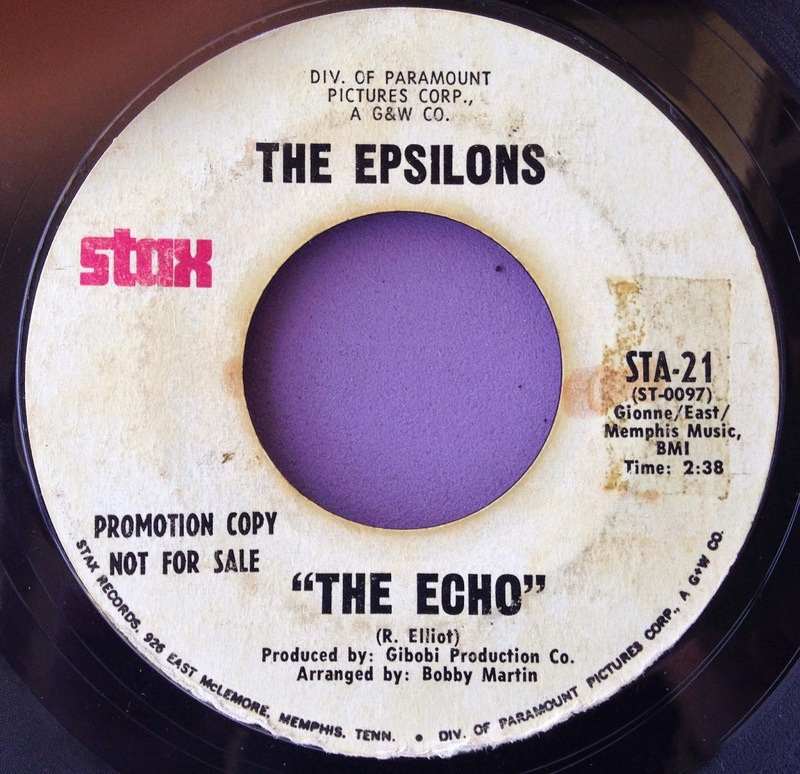 The Epsilons were a soul group based from Philadelphia (but based in Memphis at the time of this recording) that only released two records; however, (falsetto) vocalist Lloyd Parks was also heard on Arthur Conley's smash hit "Sweet Soul Music" and became an early '70's member of Harold Melvin & The Blue Notes. It's a beautiful track showcasing an incredible group vocal performance. This group also released an ultra rare 45 on Shrine Records "Mad At The World"/"I'm So Devoted" 106. There are also 45's on the Hem and Triple G labels by The Epsilons, but I'm not certain that's the same group. Probably though.